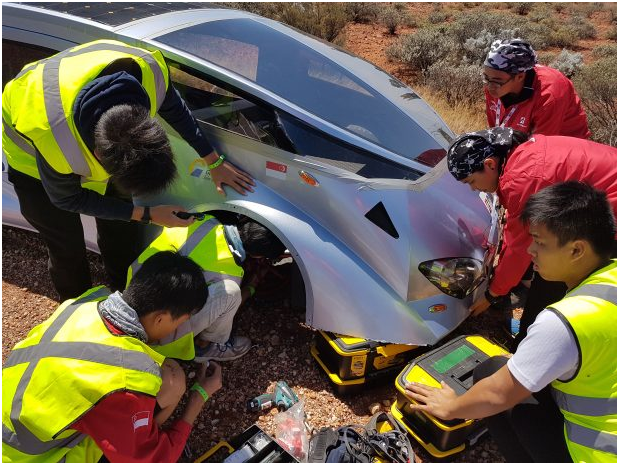 Students from Singapore Polytechnic finished in ninth place in the 2017 World Solar Challenge in a solar-powered car designed and built using SOLIDWORKS. Their car, not only had to be designed in accordance with strict competition design criteria but also needed to have the stamina to traverse 3000km across the unforgiving Australian outback, from Darwin to Adelaide, where temperatures fluctuated from single digits to 40°C within a single day. 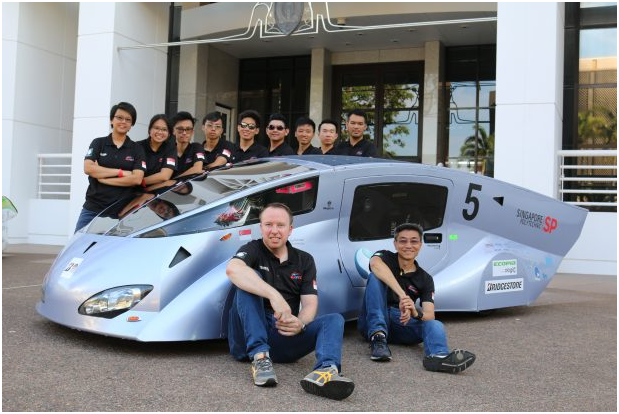 To participate in the World Solar Challenge, held every two years in Australia, Singapore Polytechnic students needed to design and build a futuristic two-seater, fiber-composite, solar-powered electric vehicle: SunSPEC5. The team who participated in the challenge consisted of 35 students from various engineering diplomas, 12 lecturers, and three alumni. The car, SunSPEC5, an upgrade of the team’s previous entry in 2015, took 20 months from December 2015 to design and build. The team entered the cruiser category, which emphasises practicality, design and end-user appeal over speed. Given the time taken to design and build a working model and prototype, it is crucial to have flexible software that not only has a short learning curve but allows the team to test and innovate the design easily. SOLIDWORKS was the answer. 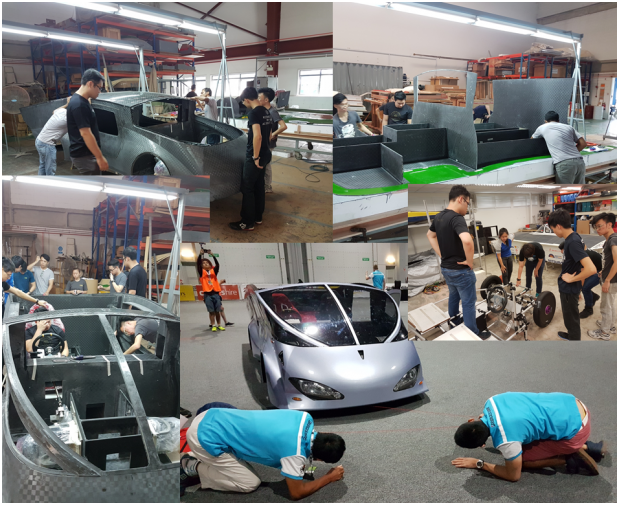 Developing a new solar car is done through various stages. Aerodynamic studies on the design ensures the car runs as fast and smoothly as possible. In the design stage, it is also important to test the structure and integrity to ensure the car is durable and can withstand impact. These are followed by fabrication and manufacturing process and procedures to actually build the car. The software needed to be sophisticated to detect errors easily and quickly in the early stages of the design process and enable the team to make design modifications without affecting the entire assembly. If these defects are not caught early, it can be costly to catch them when the prototype has already been built. A significant challenge throughout the design process is safety – of utmost importance is to protect the occupants of the car. “On the surface the challenge seems simple: build a car and drive from Darwin to Adelaide. However it’s not that simple. On the road, we will encounter gigantic road trains, which displace a large amount of air. One wrong move could send the solar car flying off the road. We can also encounter animals such as kangaroos, dingos, emus, or reptiles, crossing the road and impact with these animals could damage the car badly. We need to be able to test these scenarios in the software when we design the car,” said Mr Foo. “While we try to do as many tests as we can in the software and in the prototype, nothing can prepare you for the real thing. During the race, the car tire burst and we almost caused an accident. 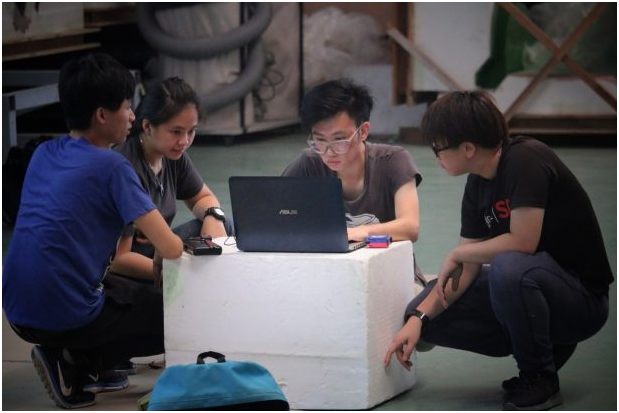 This is why it’s so important to be able to detect defects early as well as accurately document all specifications for subsequent prototypes and improvements,” said Ms Krystal Wong, Singapore Polytechnic student and driver of the SunSPEC5 car. Driving the car for six days straight over the Stuart Highway is tiring for the team. The two drivers drive from 8am to 5pm every day, racing to reach each of the nine checkpoints along the route. Out of 13 teams in the cruiser category, only three managed to finish the race within the final day’s deadline. SunSPEC5 came in ninth out of 13 cars. There are many things the team needs to improve on and the next batch of students are looking forward to working on the next iteration of the car together with SOLIDWORKS in time for the next race in 2019.